When it comes to improving the Hubstaff experience, we start where every good business should: with our customers. We look at your feedback, your input and your questions to help us prioritize how we improve Hubstaff. 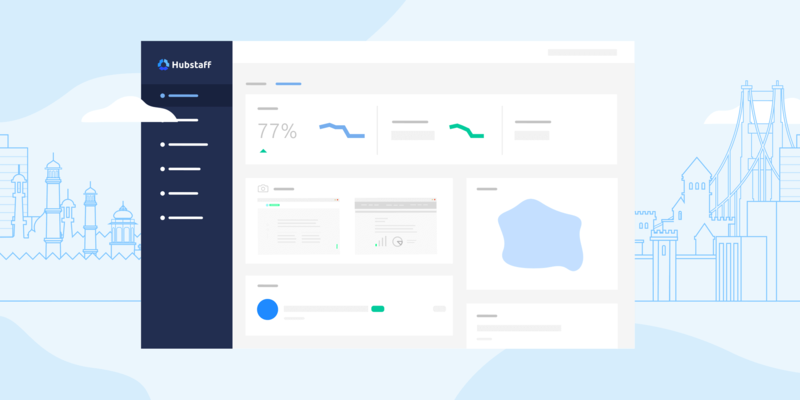 Most recently when we dug into what our customers wanted, two main themes emerged: you want more data and you want it delivered in easier ways. With this in mind, we’re thrilled to share the first of many exciting updates. Welcome to the new Hubstaff. Here’s what we heard from you, our customers, and how our new features can help. 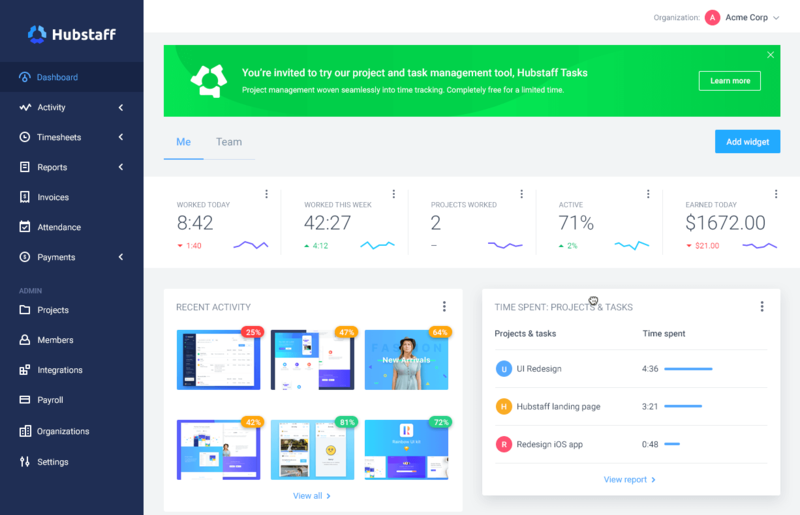 When are you going to spruce up the Hubstaff dashboard? Okay, maybe you didn’t say it quite like that, but we saw an opportunity to step up the dashboard to better serve our customers. We’ve 100% revamped it to provide more data, more clearly for anyone in an organization. The new widgets feature allows you to customize what you see when you log in. By default, you’ll see about half of the available widgets. You can disable and enable widgets on both the Me and Team dashboards by clicking on Manage Widgets. Users can dig into their activity, timesheets, screenshots and more. Owners can view aggregate data of their team or drill down into specific tasks, team members or days. It’s so beautiful we almost shed a tear. You can start using the new dashboard by clicking Try out the new dashboard when you log into Hubstaff in your web browser. 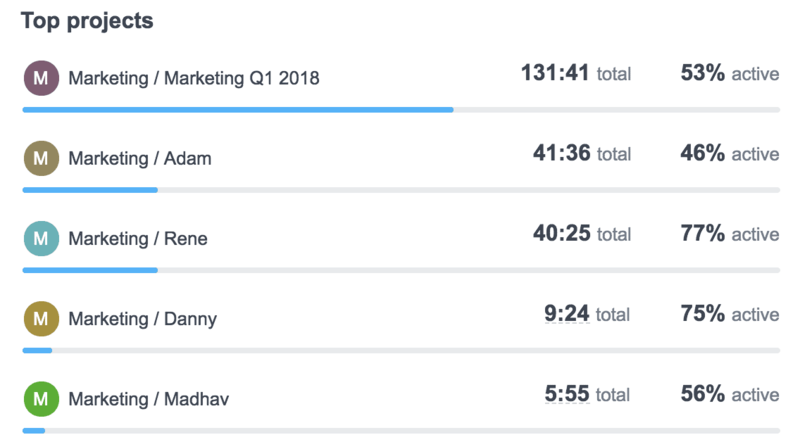 How long does it take for Trello and Asana tasks to show up in Hubstaff? You edit or add a task in Trello? Boom. It’s in Hubstaff immediately. We’ve removed the five-minute refresh in favor of instant updates for both Trello and Asana. And, we’re working to bring this feature to more integrations in the future. Ah! I forgot to start my timer. Help? We’re pretty excited about this one. If you’ve ever been so distracted by a perfect cup of coffee that you forgot to start the Hubstaff timer, this feature is for you. First, now you can set your regular work hours in Hubstaff. Nine to five, Midnight to eight, you pick. If you’re on a work device within that timeframe but haven’t started the timer, you’ll get a gentle reminder from Hubstaff. More accurate timesheets. Fewer gut-wrenching feelings of forgetting something. Ah! I forgot to stop my timer when I started doing something else! Help? Let’s say you’re plugging away at a proposal. Everything’s going great. You’re starting to wonder if everyone has ever been this productive. Maybe you should write a book about it? Then, the phone rings. A client call interrupts your current project and you spend a half hour talking about a different one. When you return to your computer, Hubstaff will kindly give you an Idle Time alert. 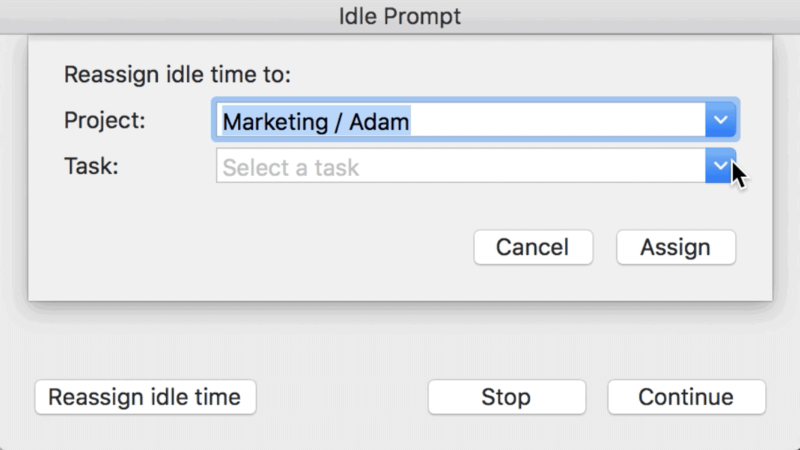 Right away, you can choose to Reassign idle time from the project you were originally working on to the project you discussed on the phone. It all happens as soon you as resume work, so you don’t have to go in and edit your timesheet later. 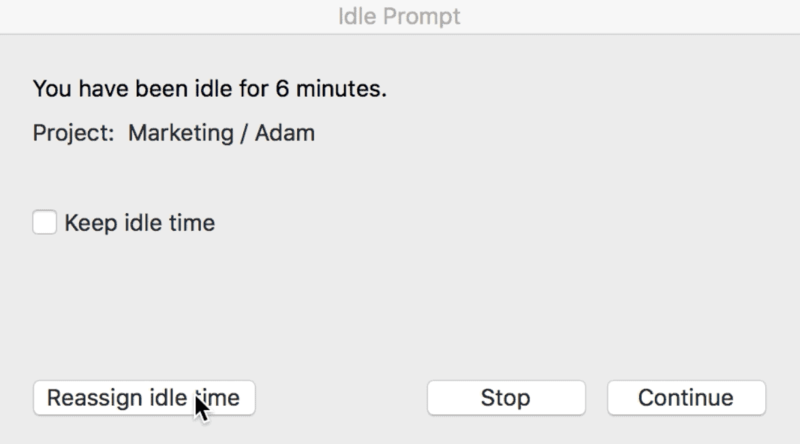 Or, if you’re the type of person who sometimes occasionally maybe forgets to stop the timer at the end of the day (ahem: me), you can remove the idle time from your timesheet as soon as you log back on the next morning. How do I pay someone outside of payroll or hours tracked? Maybe you need to make a one-time payment to a freelancer. Or you’re just a cool boss who likes to give surprise bonuses to employees. 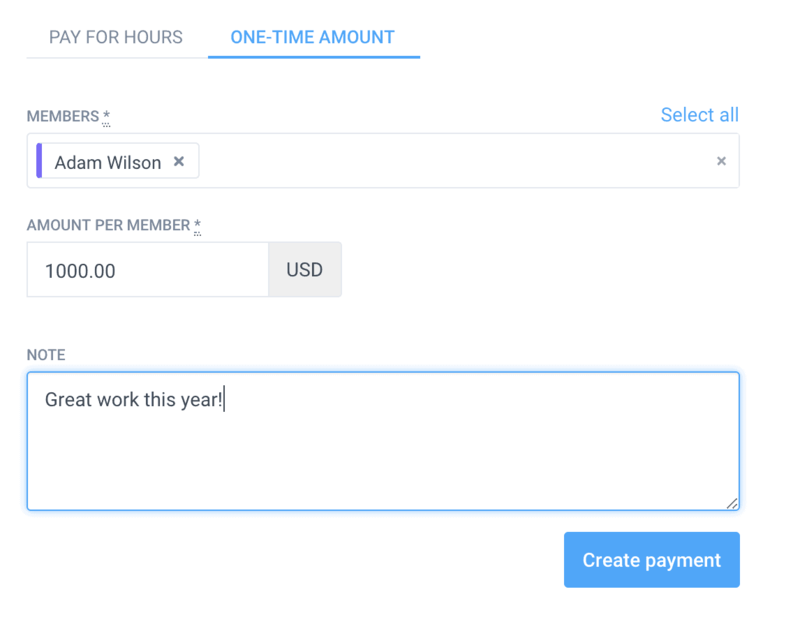 Whatever the reason, you can now make an individual payment that’s not tied to payroll or hours tracked. Overtime payments, compensation for business expenses, one-time fees; they can all be made through Hubstaff. Can I get more info in the daily emails? We wanted to make it easy for teams to see all of their data, so we built a better email. 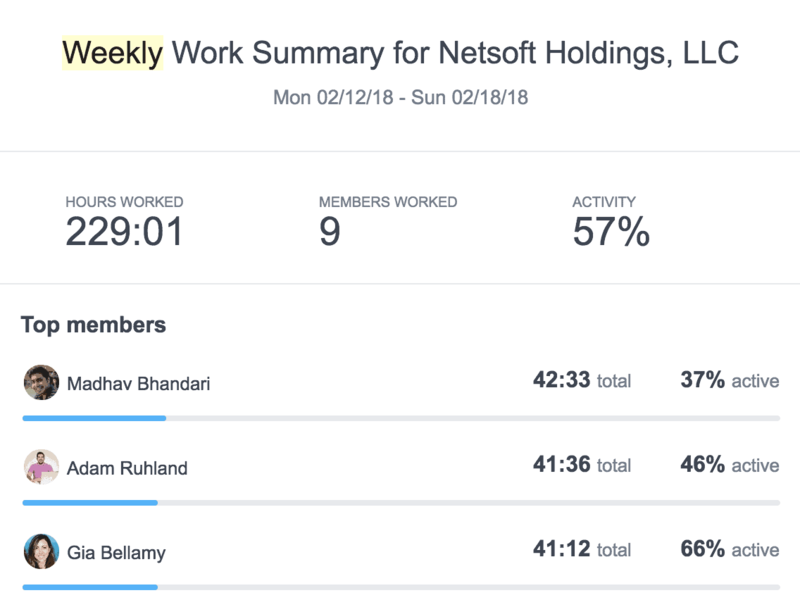 The new Hubstaff daily and weekly work summary emails are now information-rich experiences for managers. It’s just like your dashboard, emailed directly to you on a daily basis. You can get a quick glance at your business and its productivity whether you’re waiting in line for coffee or standing at your desk. Can I get more info from the iPhone app? The same level of reporting you get through the web is now available in the iOS app. Check on your own and your team’s activity along with payroll in a report that’s formatted for the app. Even better, reports are built in so that can review them even when you’re offline. More data, displayed simply, all in the palm of your hand. How can I see when an employee edits their time manually? 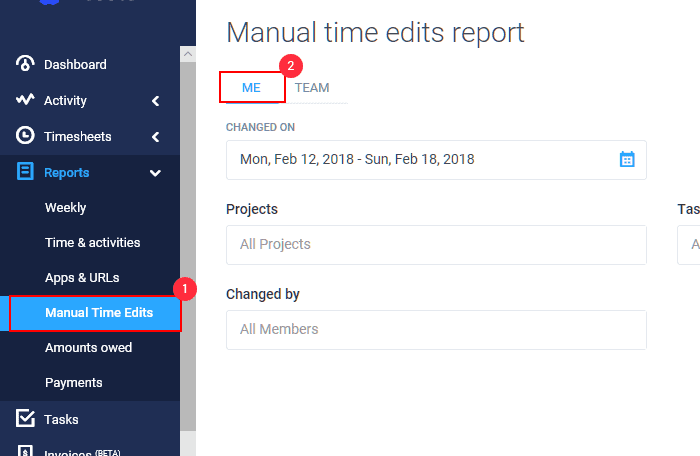 When someone on your team makes a manual edit to a timesheet, you can now see why and when it was added. 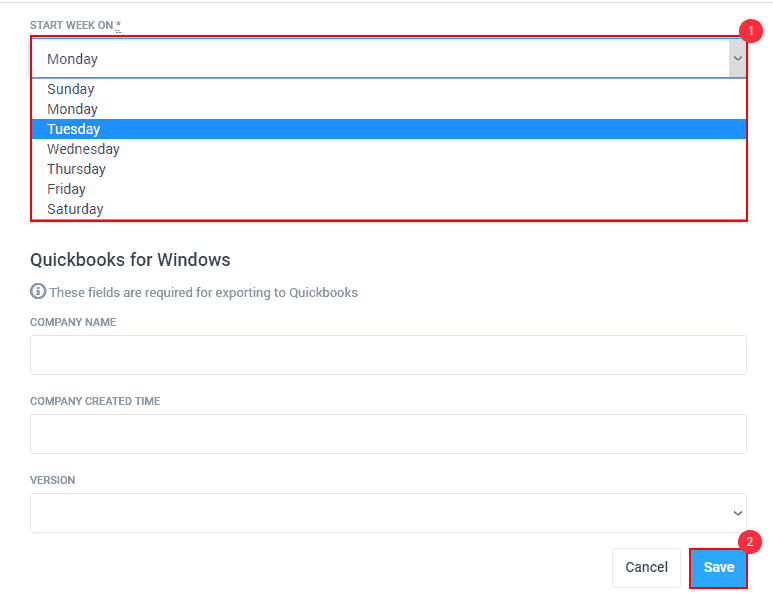 This update allows you to view historical timesheet edits and dig into reports on manual time entries. What was once only available as an email is now available in an instant, anytime you want to see it. Check it out. How can I customize Hubstaff? You can now set your preferred week start and time format in Hubstaff. As an organization owner, you choose which day is your official start of the work week. This setting automatically syncs with your iOS app. (It really is about the little things.) Then, any user can choose the time options they like best, whether that’s 12-hour or 24-hour formats. No word on custom wallpapers, though. Who doesn’t want a nice beach scene tucked behind their timer? Oh, that’s just me? Okay, okay, fine. I’ll stop emailing about it. 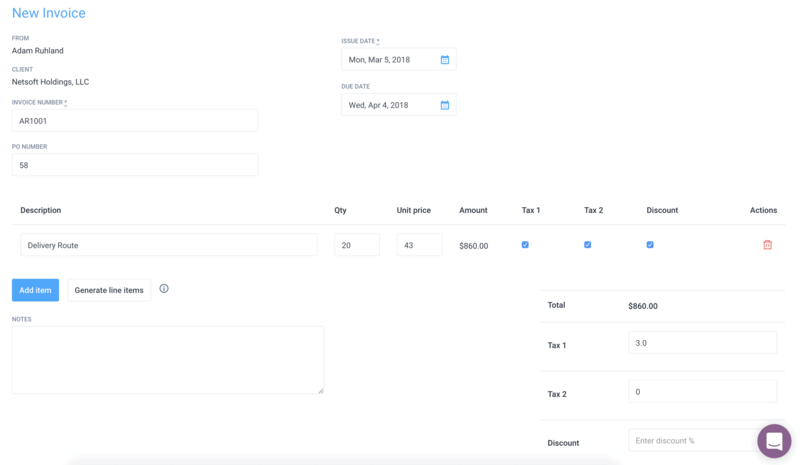 Can Hubstaff generate invoices for me? That’s what we’ve been up to lately. Let us know which updates you’re most excited about, or what you’d still like to see in the comments. Anyone else forget to turn off their timer before?